ALSO: If you are hosting with other larger "shared-hosting" companies, please note that ZenCart has known issues with working effectively on a "shared-hosting" platform. You will experience less headaches, stable platform, higher memory, and much better results using a private, non-shared hosting server which Zen Cart requires. We offer a very competitive hosting package(s) which you will find better in all cases. Hosting for Zen Carts is ONLY $5.75 a Month!!! Please visit www.Zencartwebhosting.com, for more details. 1. 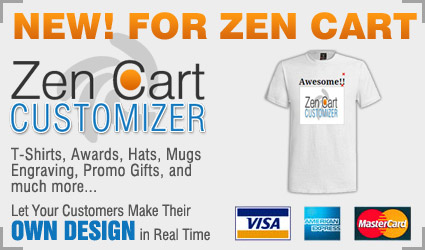 What version of Zen Cart are you using? 2. Has your site been upgraded? When? From what version(s)? 3. What addons have you installed? When? 4. In what ways is your site customized or different from a brand new uncustomized install? 5. If you're encountering problems that could be related to your server or hosting company, include the name of your hosting company (not their URL). 6. If this is your first store, have you tested all aspects of transactions before going live? 7. What is your budget for your store or specific issue? Ask us about our Logo/Font Preview Module. Guaranteed to increase your sales!